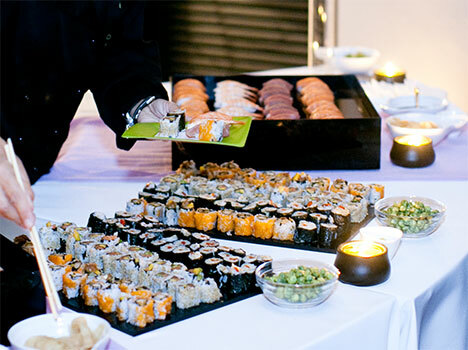 Nori provides a unique catering experience specializing in sushi and fusion cuisine for private dinners, corporate events and parties. 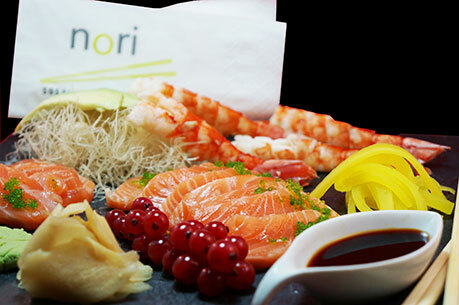 At Nori, we focus on exceptional quality and professional services to create a memorable dining experience. 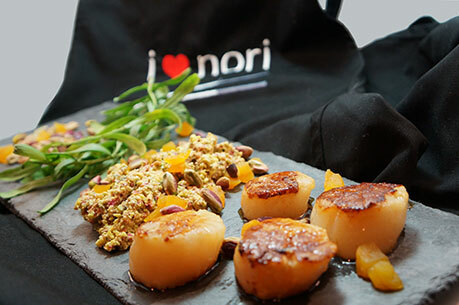 Whether you are planning an informal and intimate dinner party at home and want to select a few choice courses from our menu or are preparing for a large party or corporate event and wish to work with our Chef in creating a complete menu package, Nori is the perfect choice for your catering needs. Our seasonal menus offer classic Japanese dishes and delicacies like nigirzushi (rice topped with raw fish), makizushi (roll of rice, fish and vegetables wrapped in nori) and sashimi (fresh, raw, thinly sliced meat or fish). But what makes Nori unique is the expert fusion of favorite Mediterranean flavors like eggplant, taramasalata and hummus. We offer a delicious assortment of dishes that do not include raw meat or fish, ideal for vegetarians and pregnant women. We offer piece of mind; you focus on your Guests while we focus on everything else! 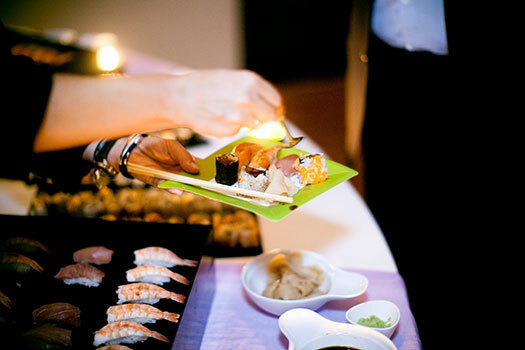 Japanese cuisine with its delicious taste combinations and artistic decorations is the ideal catering choice for your important client and business functions. We offer a range of solutions from a simple buffet including classic favourites, to a complete sit-down dinner. 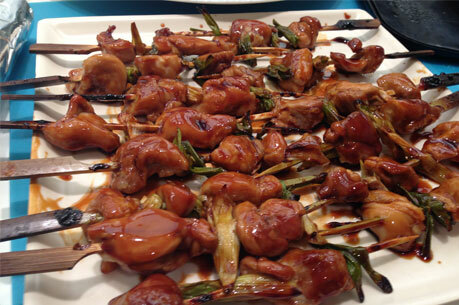 Let Nori cater your next corporate event and make it a memorable experience for your business partners and clients. 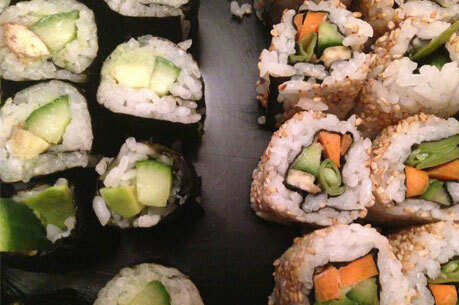 Sushi is the perfect finger food and Nori has successfully catered a number of parties. 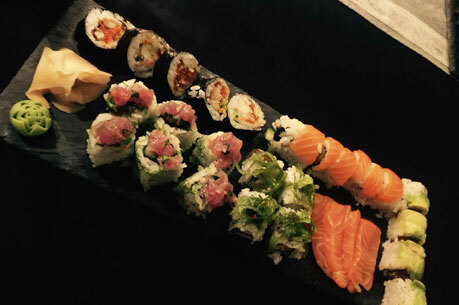 We recommend serving a variety of sushi dishes including nigiri, sashimi and maki. The food will be ready shortly before the party begins and will be served in specially designed dry ice trays in order to ensure the ideal temperature is maintained throughout the event. 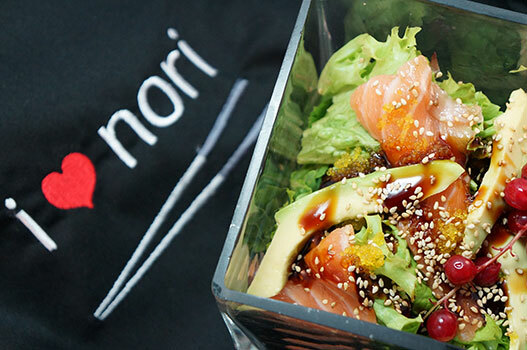 Click here to download a Menu of our Nori specials. Tina Stefanou, a Graphic Information Designer-turned-Chef, has worked for Microsoft, Neurosoft, Athens 2004 and Velti. She loves cooking, entertaining and volunteers her time as a creative consultant and decorator. 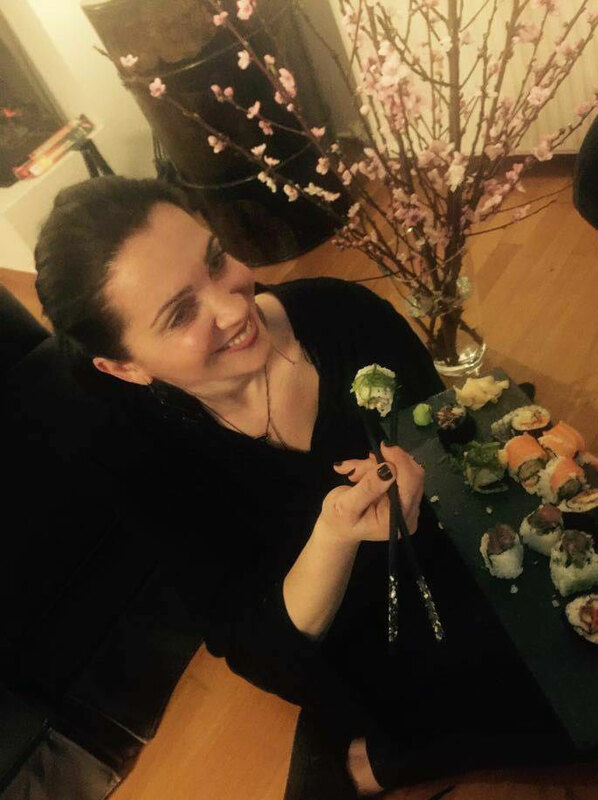 Tina has a passion for sushi and Japanese cuisine and always aspired to prepare complete Japanese meals at home. With her outgoing personality and love for quality creations, she considers Japanese cuisine as the most delightful form of art! Tina has a Certification from a specialized Japanese Cuisine Training Academy in Cambridge, UK. Since 2011, she has attended several cooking classes and seminars in the UK, in Asia and also at Matsuhisa in Athens, in order to refine her culinary skills and further expand her repertoire. By experimenting with a combination of Mediterranean-inspired and Japanese classic recipes, she has created a unique and delicious menu. paper-thin black dried sheets that are used as sushi wrappers or for food decoration. Nori contains high proportions of iodine, carotene, calcium, iron and vitamins A, B and C.
prevent the rice from soaking up too much sauce; it is considered rude to leave stray grains of rice floating in the sauce. 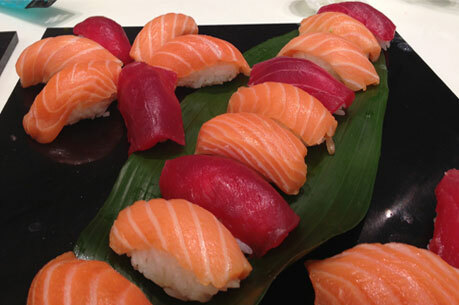 In sushi-only restaurants, it is acceptable to use your fingers instead of chopsticks to eat the nigiri. When breaking apart new chopsticks, you should never rub them together to remove the splinters; this is considered rude as it implies that you think the chopsticks are cheap. When drinking Miso soup, it is perfectly acceptable to drink directly from the bowl and not use a spoon. slang “chop chop” and means quickly. Chopsticks are typically made from bamboo or wood, whereas more luxury materials can include ivory, jade, silver or gold. In Japan, about 24 billion pairs of disposable chopsticks are used each year. It is considered inappropriate to leave chopsticks standing vertically in a bowl of rice. In the Japanese culture, chopsticks should be placed on the table from right to left, with the tips on the left. complex carbohydrate, which is needed as fuel for the body. brewing sake is called shuzo kotekimai and is not edible. Containing 18-20% alcohol, sake is usually served in small cups called choko and is served either chilled at room temperature or heated, depending on the drinker’s preference. Hot sake is served during the winter months but high-quality sake is rarely served hot. and helps with digestion, while also fighting bacteria. or is included as in nigiri sushi. Wasabi can also kill bacteria found in raw fish.